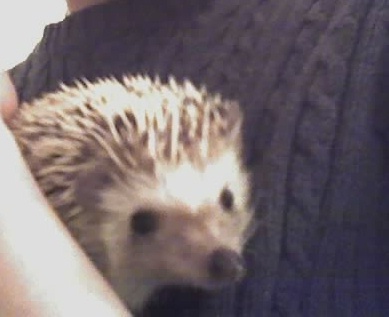 Razzle's Hog Blog: Razzle is Home!!!! 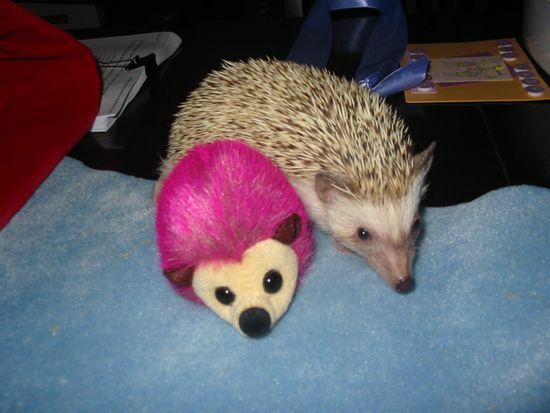 Welcome to Razzle the Hedgehog's Blog! Feel free to "poke around". Pliny - a super cool hedgie! Thanks everyone for your care and concern about little Razzle. He spent the night at the emergency vets and I went there first thing this morning to get him and transport him to another animal hospital in the area. He was sounding MUCH better. 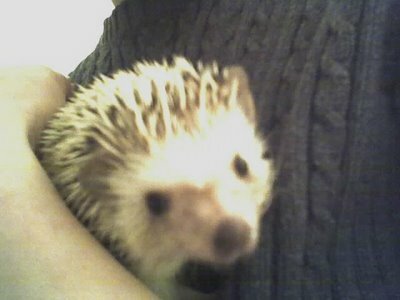 The doctors and staff also said he was a feisty one and tried to spear everyone with his quills. Hee!! I finally got to take him home, along with some meds for a respiratory infection. I'm sorry to hear of Razzle's illness, but i am very glad to hear that he is home. Take care little guy! Oh, Razzle!! How scary for you and your parents. I'm glad to hear you are home and resting, with medicine to get you better! Johnny and Kiki also send their love. Hope both Razzle and you're resting comfortably now recovering from the ordeal. Wishing Razzle a quick and full recovery! How are you feeling this week? I hope you're doing better and are getting stronger! Keep us posted.